With opening week of the new baseball season upon us, I was thinking about the various songs the players choose for their walk-up music as they head up to bat. It’s totally their choice and the picks range from something with a good thumping bass to get the adrenaline flowing to music of menace and intimidation for opposing pitchers. Chipper Jones always used Crazy Train, by Ozzy Osbourne; Yasiel Puig prefers Turn Down For What, by DJ Snake and Lil Jon; while Nick Punto let his daughter pick his walk-up music. Her choice? Shake it Off, by Taylor Swift, of course. It’s not just batters who get to choose entrance music: two of the best closing pitchers in MLB history chose “lights out” music as they entered from the bullpen. Trevor Hoffman always entered to AC/DC’s Hells Bells, and Mariano Rivera actually earned his nickname from his theme song: Metallica’s Enter the Sandman. Both are awesome tunes to intimidate visiting batters while their opponent’s most dominant pitcher warms up. As far as I know, only once has a Major League Baseball player opted for a classical tune as his walk-up music. That’s Prince Fielder, who uses the Rex tremendae section of Mozart’s Requiem as he strides to the plate. But that got me thinking (and talking to my KUSC colleagues) about what would make the best classical walk-up music. Below are nine possibilities–a full lineup’s worth, which I’d be happy to recommend to any MLB team if they’d like to do a classical music promotion night. 1. Carl Orff – “O Fortuna” from Carmina Burana: A classic to lead off, with the added bonus of familiarity. 2. Igor Stravinsky – “Infernal Dance,” from The Firebird: Again with the intimidation factor here. This has the added benefit of probably causing many in the stands to jump in surprise after the first chord. 3. Johannes Brahms – opening of Symphony No. 1: Some nice, solid power here from a composer who also hits for average and makes every at-bat count. Exactly what you want for your #3 hitter. 6. John Adams: opening of Harmonielehre: Quite simply, one of the most badass pieces in all of classical music. Perfect for a hitter wanting to get the adrenaline pumping. 7. Hector Berlioz – “March to the Scaffold,” from Symphonie fantastique: When I asked Jim Svejda for his walk-up music pick, he suggested this piece, emphasizing it was perfect for Alex Rodriguez. I guess we know how Jim feels about A-Rod. The embattled Yankees DH bats seventh, and now, so does his execution walk-up music. 8. Gustav Holst – “Mars, the Bringer of War,” from The Planets: You didn’t think I’d forget this one, did you? It’s a good one for stat nerds too, because any good baseball player should be the bringer of WAR. 9. Serge Prokofiev – “The Alien God and the Dance of the Pagan Monsters,” from Scythian Suite: I mean, you don’t even need to hear it to know this is intimidating music, right? Do take a listen, though, because this is the piece I would likely choose as my walk-up music. 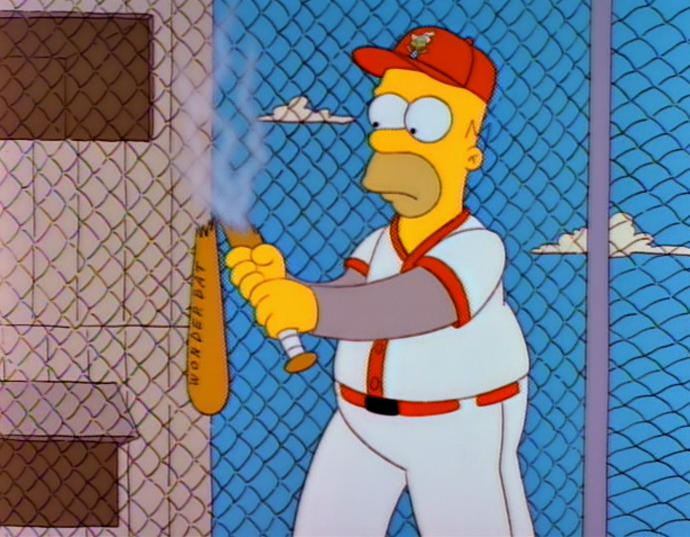 And, yes, I would be batting ninth…frequently replaced by a more talented pinch-hitter. So, there you have it. My starting lineup of Classical Walk-Up Music. I’d love to hear yours. Leave it in the comments…or blog about it and send me a link. In the meantime, here’s a Spotify playlist of my picks for your listening pleasure.